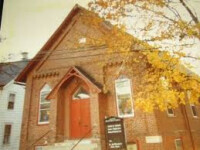 The Shiloh Presbyterian Church was organized by Presbytery in September 1874, with nine members, following a petition submitted by a group of Lincoln University faculty wives to consider an African American congregation in Oxford. The cornerstone was laid four years later in 1881. Since the last full-time minister, Reverend Arthur Honore, resigned in 1965, stated pulpit supplies secured by Session and moderators appointed by Presbytery have served us well. The members here continue to hold fast to (our) dreams. We realize that even in our dreams, God goes before us and is our source of vision for the future. The congregation of Shiloh Presbyterian Church, Oxford feels very privileged to have you worship with us. As you search for a home church, we hope you will consider becoming a part of our wonderful church family. The main reason we come together as a family of God is to worship the Lord. When we humbly put our faith and trust in Him, we receive His blessing, guidance, and peace that passes all understanding. Feel free to join us in studying the Word and be inspired and uplifted through our programs.